Tomos Parry opened his first solo restaurant in Shoreditch in 2018, and what a hit it has turned out to be, quickly gaining the chef’s first Michelin star. 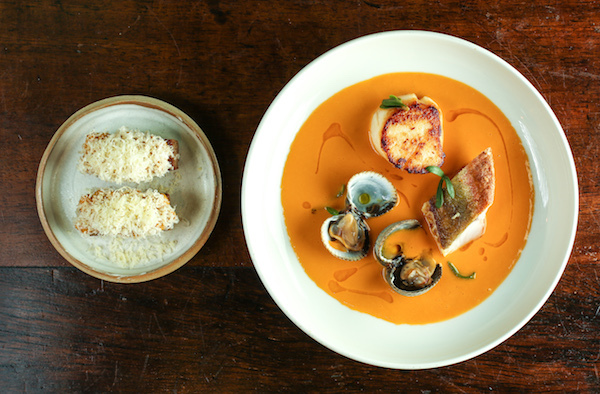 Brat, named after an old colloquial word for turbot, specialises in Basque food with a nod to Tomos’s Welsh heritage. The centre stage at Brat is the wood fire oven where all the action takes place in full view. 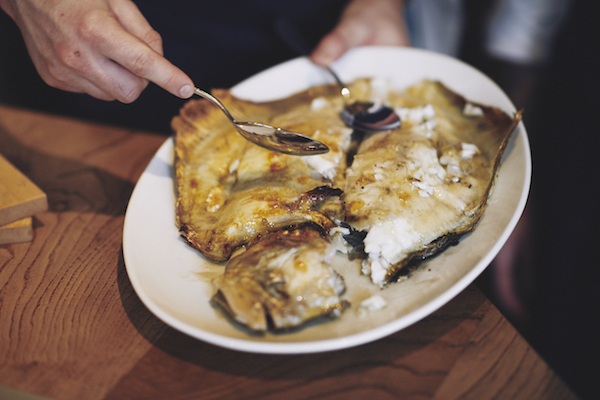 Wood-fire grilled bread drizzled with olive oil is as simple as it is delicious, but where the wood oven really comes through is with the main focus of the menu – a 1.2kg slow-cooked turbot to share. Starters include an excellent beef tartare, cockles with liver sauce, and Spider Crab with cabbage and fennel. The joy of the food here is that Tomos takes excellent quality ingredients and lets them shine on their own. Everything seems so simple, but tastes anything but. 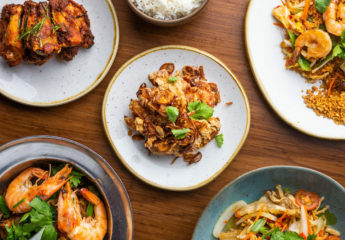 Yotam Ottolenghi’s new restaurant ROVI opened in Fitzrovia in the middle of 2018. 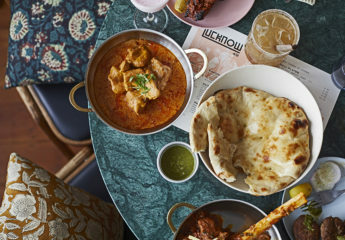 Vegetables remain the focus at ROVI, but where it departs from Ottolenghi’s other venues is by focussing on fermentation and fire to prepare the Middle Eastern-style dishes, for which the chef has become so revered. With an open kitchen at the back of the restaurant and long, bright red sofas wrapping themselves around the tables, the restaurant is informal and welcoming. Highlights on the menu include charred and fermented goods including confit mussels with hay-smoked potatoes; kohlrabi ‘ravioli’ with peas, broad beans and yuzu kosho; and onglet beef skewers with beef fat mayonnaise and fermented green chillies. 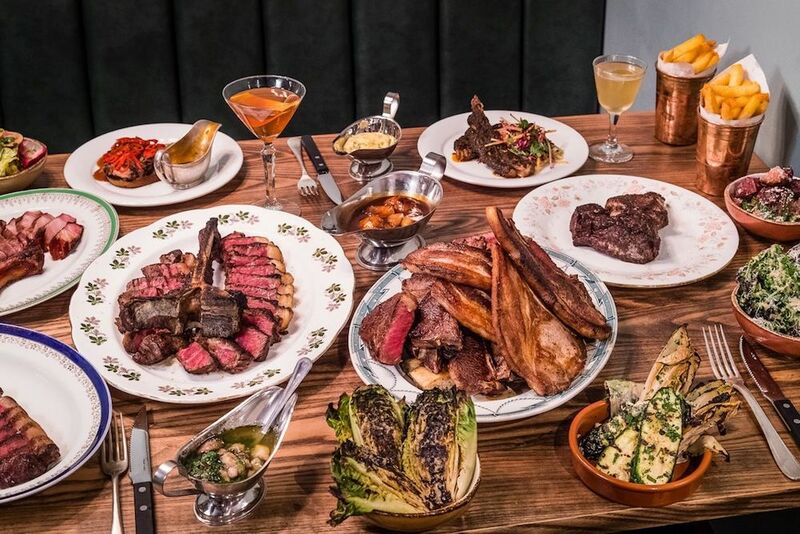 Blacklock, which specialises in chops, opened its third restaurant on Rivington Street in Shoreditch in 2018. The 95-cover restaurant serves the classic chops and meat menu you expect from Blacklock with the addition of a dedicated bar area, which seats up to 30. New York cocktail bar Slowly Shirley has created a bespoke cocktail list for Blacklock Shoreditch. 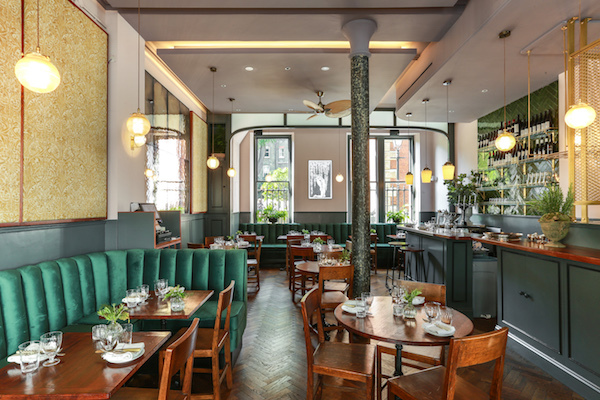 The team behind Kitty Fisher’s in Mayfair opened a second restaurant, Cora Pearl, in Covent Garden and I loved my visit in 2018. The snacks were all very good, including brown shrimp Ranhöfer that’s accurately described to us as prawn cocktail on toast, and a deliciously rich cheese and ham toastie with a pot of pickle on the side. My veal fillet main dish was a thing of beauty to look at and to taste with a wonderful bordelaise sauce with chunks of bone marrow. I am looking forward to a return visit this year for the cow’s curd angolotti with peas and summer truffles and the cod and devilled crab. 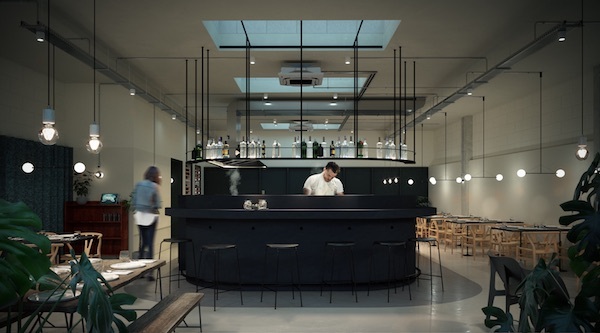 Cornerstone opened in Hackney Wick in April, a 46-cover restaurant from chef, Tom Brown. The location is definitely off the beaten track in London, but you are rewarded for your effort to get there with exceptional cooking. The menu includes raw mackerel with lime pickle, coconut yogurt and crispy garlic; marinated squid with black pudding, blood orange and a brown butter dressing and roast cod served with Café de Paris hollandaise. Seafood cooking at its best. 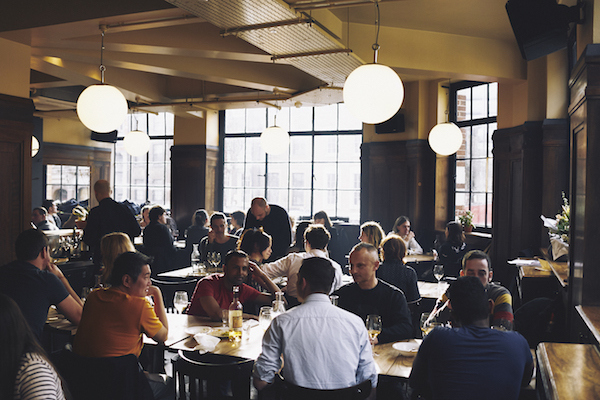 Hide is chef Ollie Dabbous’ new restaurant in partnership with Hedonism Wines. Launched last year in a cavernous space at 85 Piccadilly, Hide is an extravagant, no-expense-spared restaurant with excellent cooking. 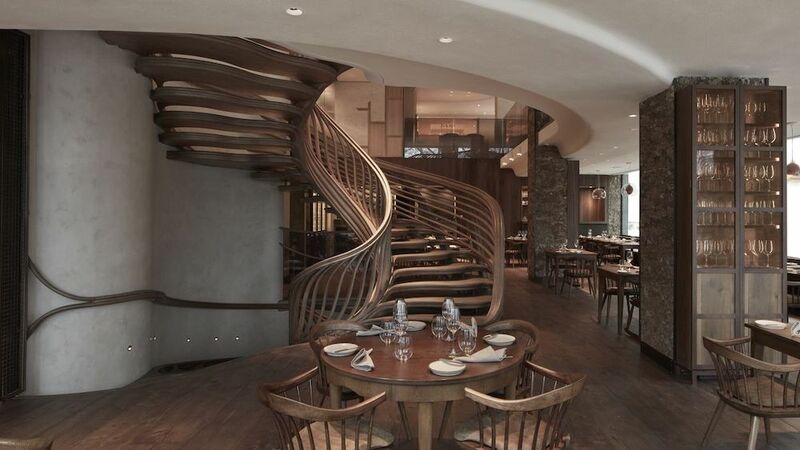 There is a basement bar, an all-day ground floor a la carte restaurant and a first floor tasting menu only restaurant. The menu includes highlights such as glazed eel grilled over charcoal, cucumber and sansho pepper; Wagyu beef shavings, oscietra caviar & rye in a warm oxtail broth; Red prawns with fresh yuzu & avocado. 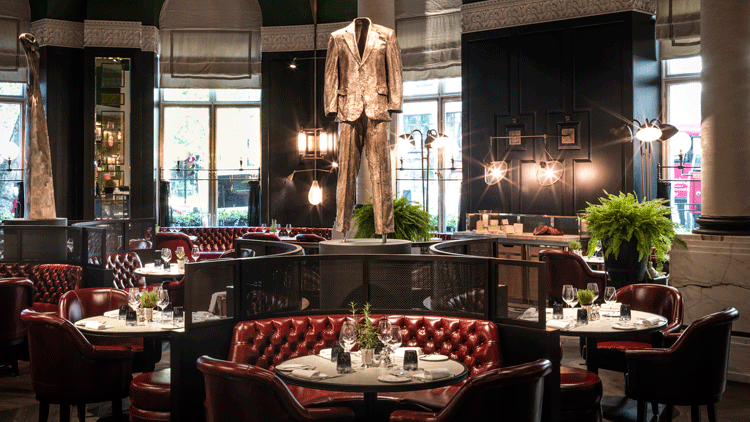 Baptist Bar and Grill is located inside new luxury hotel L’Oscar, in a Grade II-listed building that was the former headquarters of the Baptist Church in England. The building went through a grand conversion into a 39-bedroom hotel, grill, café and bar, restored to its Baroque glory. 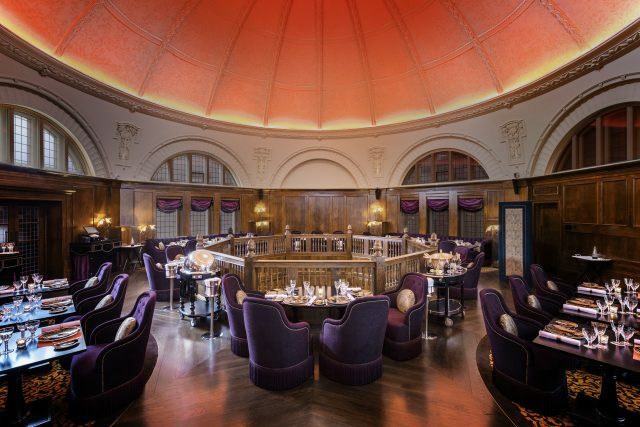 The dining room is stunning with its dramatic domed roof and over-the-top dark, heavy fabrics and furniture. Main dishes focus on the charcoal grill with a choice of a ribeye or bavette steaks or an excellent English veal T-bone. The Baptist Bar sits underneath the restaurant and is home to a line-up of international DJs and live artists. Evelyn’s Table, from siblings Layo and Zoë Paskin (The Palomar, The Barbary), is an intimate eleven-seat kitchen bar serving modern European dishes located in the former beer cellar of The Blue Posts in Chinatown. 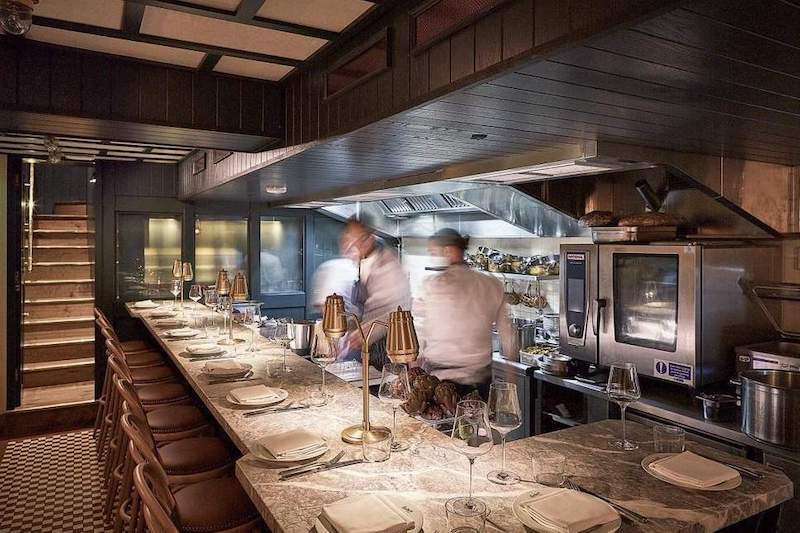 Seating only eleven at a marble counter facing an open kitchen, the space is warm and informal, with plates being passed straight from the range to the guest. Half the seats at the table can be reserved in advance while other seats are for walk-ins. 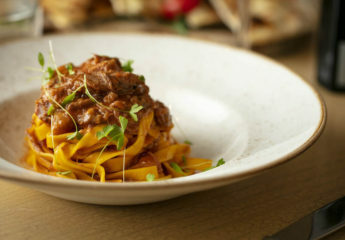 The menu is delightful with highlights including dishes such as cuttlefish ragout, Anjou pigeon with lentils, and tagliatelle with cavolo nero and salt cod, and a daily changing fish dish based on the catch of the day from their Cornish suppliers. 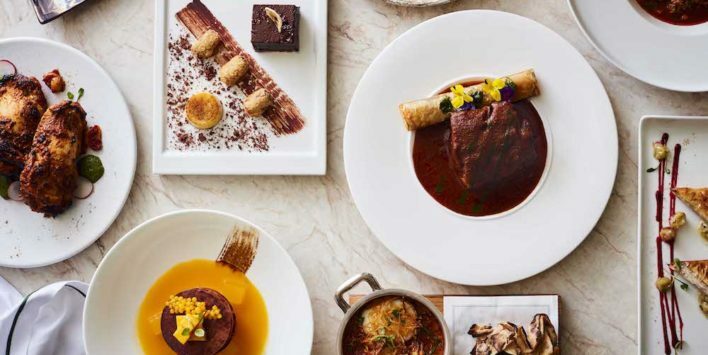 Chef Rohit Ghai opened his first solo site, Kutir at the end of 2018. Kutir is co-founded by Ghai and Abhi Sangwan who have worked together as colleagues for many years at Gymkhana, Jamavar and Bombay Bustle. 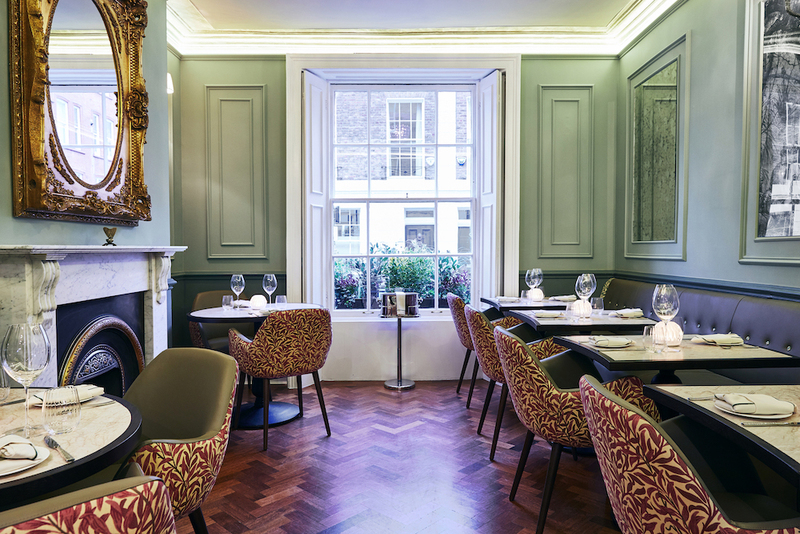 Located just off Chelsea’s Sloane Square in an elegant townhouse, Kutir offers an authentic and traditional Indian menu with a sharing, feasting style. 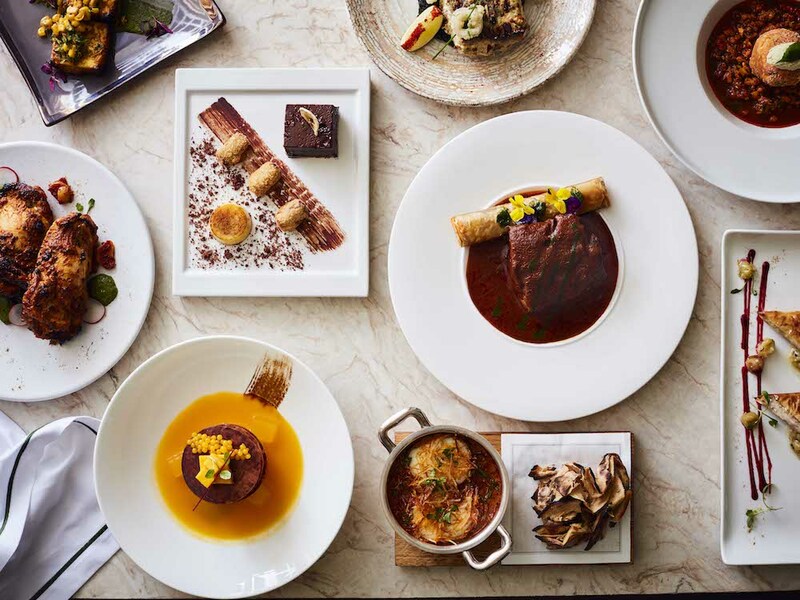 Kutir offers a tasting, or ‘expedition’, menu of 6 courses for £60, as well as a full a la carte menu featuring dishes such as the Truffle and Mushroom Khichadi, the Lobster Bonda and Rasam, 24-hour Slow-cooked Roganjosh, and a Tandoori Stone Bass with Crispy Squid. 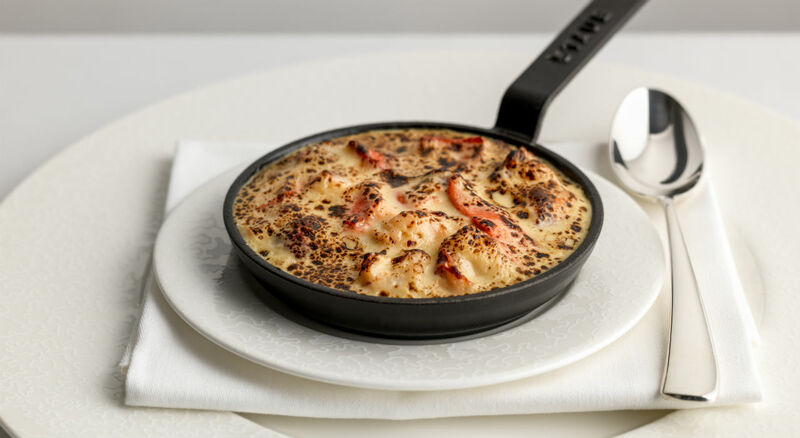 Tom Kerridge opened his new restaurant at the Corinthia Hotel in September. Tom is famous for his pub, The Hand and Flowers, which has 2 Michelin Stars, along with his TV appearances. 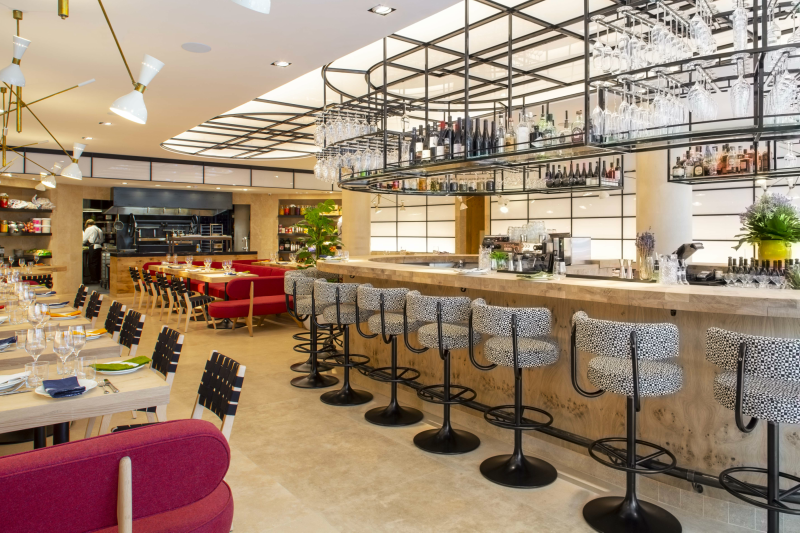 Kerridge’s Bar & Grill is a relaxed British brasserie on the site that was previously Massimo Restaurant & Bar, on the ground floor of the hotel. Dishes include glazed omelette ‘Lobster Thermidor’, whole stuffed rotisserie quail with boudin blanc, crab vol-au-vent and a rib of beef. Receive our articles direct to you inbox by signing up here. If you enjoyed our guide to the best new restaurants in London for 2018, read some of our best content of the year including the best wine bars in London, the best restaurants in Soho and the best Japanese restaurants in London.